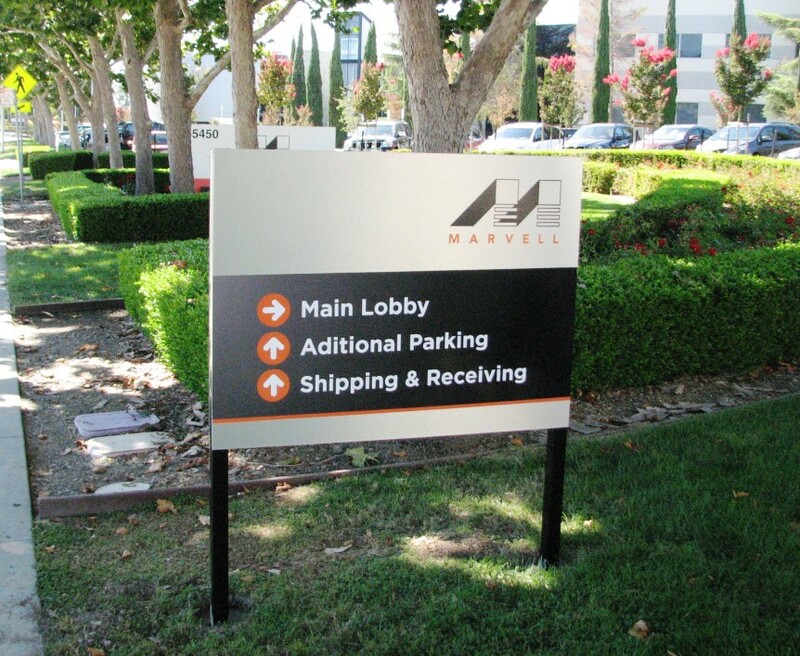 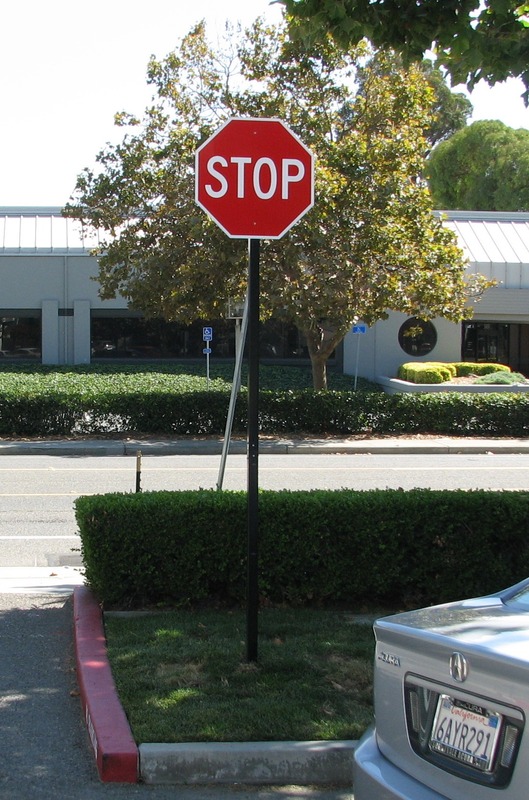 Marvell Semiconductor started to evaluate their campus signage over two years ago. 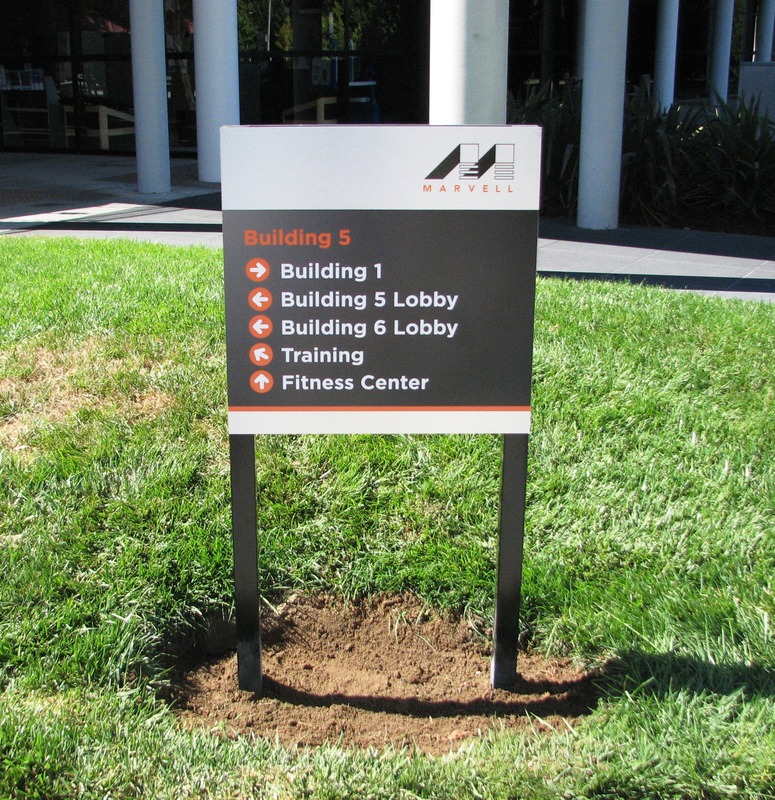 As with many organizations, tech companies periodically give their facilities and of course their signage a complete makeover. 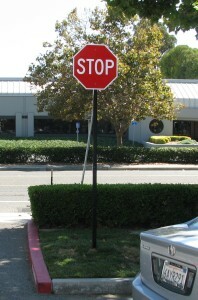 The project was initially put in hold but then it was restarted a couple of months ago. 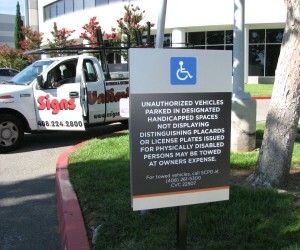 The process started with a detailed site survey to capture the specifications of all the existing signs. 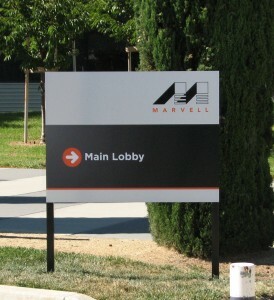 Then we created a detailed design package to help the client review and approve the new signage. 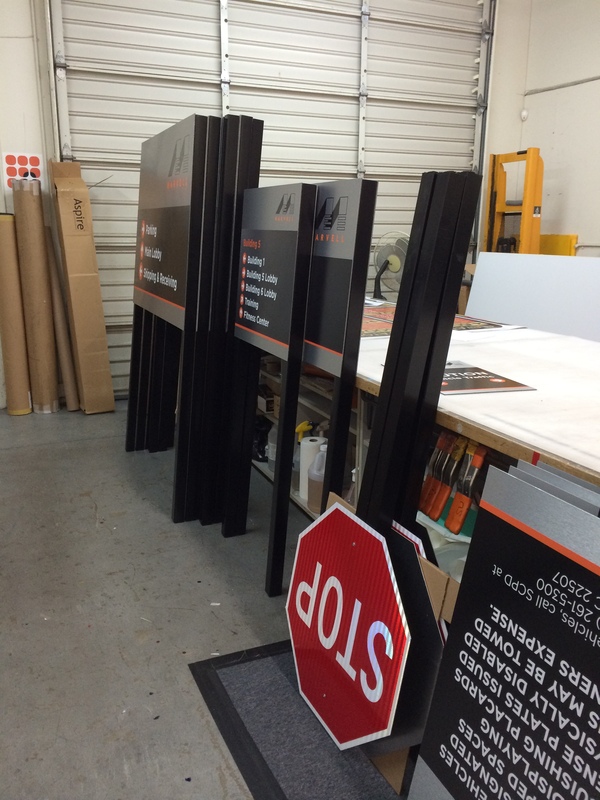 Then we proceeded with fabrication. 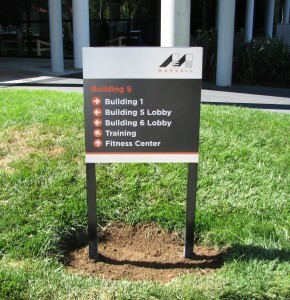 The project was completed after a month or so. Here is a sampling of the signs that were fabricated and installed by Signs Unlimited. 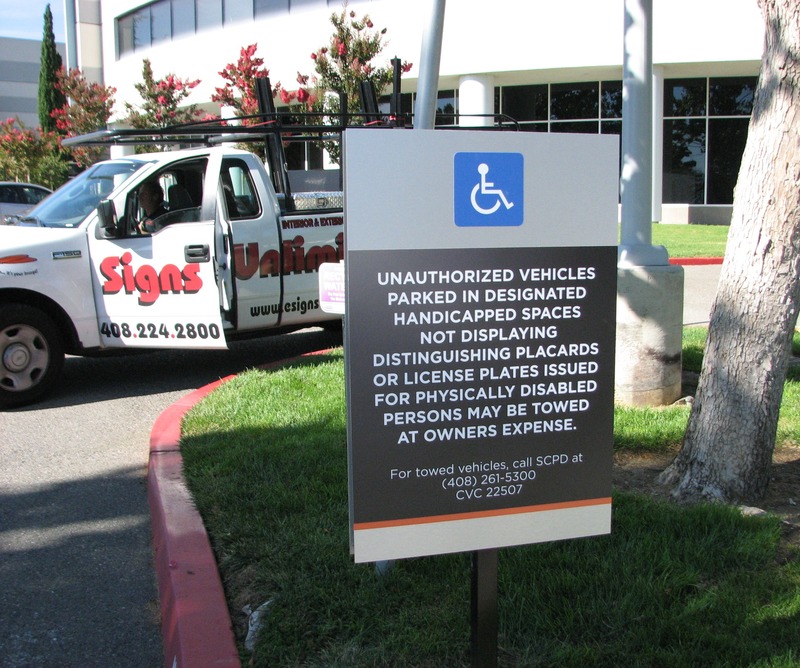 To see what we can do for you, please call us now at 408-224-2800 or email us at sales@esignsunlimited.com for all your signs, banners, or graphics.